Gov. Ralph DLG Torres disclosed yesterday there is legislation floating in U.S. Congress that could impose financial controls over the local government through a federal government board or commission, possibly infringing on the CNMI’s right to self-government and right to steer its own economy. 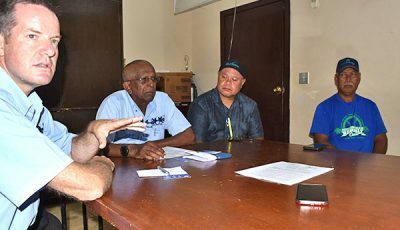 Torres met with Delegate Gregorio Kilili C. Sablan (Ind-MP) yesterday on the matter, saying the issue ties into Puerto Rico and “their bankruptcy” or legislation proposed to help ease the territory’s financial crisis. “Congress is considering legislation that will provide an oversight board appointed by the President,” Sablan confirmed. Sablan also said there were no discussions about a Puerto Rico bailout since Congress—as far as is being discussed by leadership and by the Resident Commissioner of Puerto Rico himself—will not provide any bailout legislation for Puerto Rico. Independent sources with knowledge of the matter cast varying points of views on the effects of the potential legislation, saying on one end that the issue is still in its “early” stages and that the language of the bill is still in “flux,’ but that on the other end, the proposed amendment could give the financial board the opportunity for the federal government to come in unilaterally and make changes—to the local tax code for example—without local government input. Torres said he wrote a letter a couple of months ago on the Puerto Rico matter, referring to a Jan. 4 letter to Sablan that stated the CNMI’s position on whether they wanted federal bankruptcy law apply to the CNMI as part of proposed law to deal with the Puerto Rico debt crisis. 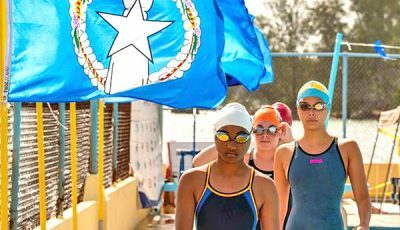 Torres indicated yesterday the issue has come around again, despite the CNMI’s position on the matter. “…Again this is back to self-government, self-sovereignty, and this whole thing is becoming an issue that we will be taking a course of action in the next few days on whether to move forward and put it to question,” Torres said. 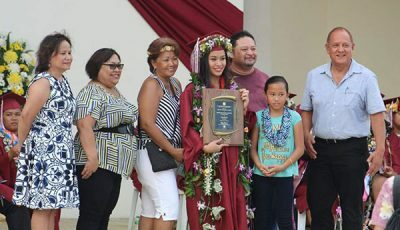 Asked to elaborate further, Torres said, “There is a bill that imposes [that] the CNMI be a part of this board or commission” that “either mandates us or regulates us on how our economy” works. Torres is troubled with the “totality” of local to federal issues including the Marianas Trench Marine National Monument, which essentially turned Northern Island waters and islands to federal property, issues of immigration control, which Torres said was “taken away,” along with the CNMI’s rights to its submerged lands. This “totality,” Torres acknowledges also ties into this week’s federal court ruling that found the CNMI’s handgun ban unconstitutional despite the CNMI availing it for 30 to 40 years, and proposed military buildup on NMI islands. “We are now having a bill before us to include us with Puerto Rico’s issues,” Torres said. “I think we should be treated differently,” he added. Torres’ comments yesterday tie into larger frustrations Capital Hill officials have been raising with the NMI Covenant, as some have expressed an eroding confidence in its ability to guarantee self-government or a sovereignty that many have thought the Covenant uniquely, among other territories, allowed for. The proposed bill that Torres has contested also taps in larger questions on how much U.S. Congress can unilaterally control or regulate the affairs of the CNMI, despite whatever the negotiations and the existence of the NMI Covenant supposedly guaranteed. A case before the U.S. Supreme Court, also involving Puerto Rico, has signaled the U.S. government’s official position on the “full legislative power” and “plenary authority” that U.S Congress has over the U.S territories. The case centers on whether the U.S. and local governments can charge an individual for the exact same crime, tying into the issue of overlapping sovereigns. “And ‘the extent of the power thus granted’ is up to Congress, ‘at all times subject to such alterations as Congress may see fit to adopt’,” the U.S. government argues, citing previous case law. The U.S. government also said a Presidential Task Force has assessed Puerto Rico’s political status and future, to which 2007 and 2011 task forces reached the same conclusion.